Other choices in the Radio Times poll included Wake Up To Wogan, John Peel and Hitchhiker's Guide to the Galaxy. The Archers - the UK's longest running radio drama. 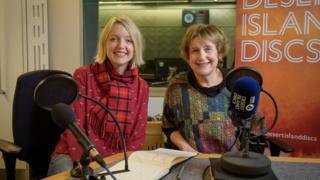 Desert Island Discs producer Cathy Drysdale said the accolade was "wonderful", attributing it to an "absolute genius format". Radio Times editor Mark Frith said the "poll illustrates how memorable and timeless great radio can be". Terry Wogan's BBC Radio 2 breakfast show, which ran for more than 25 years until 2009, was in 12th position, just ahead of John Peel's late-night BBC Radio 1 programme, on air between 1967 and 2004.